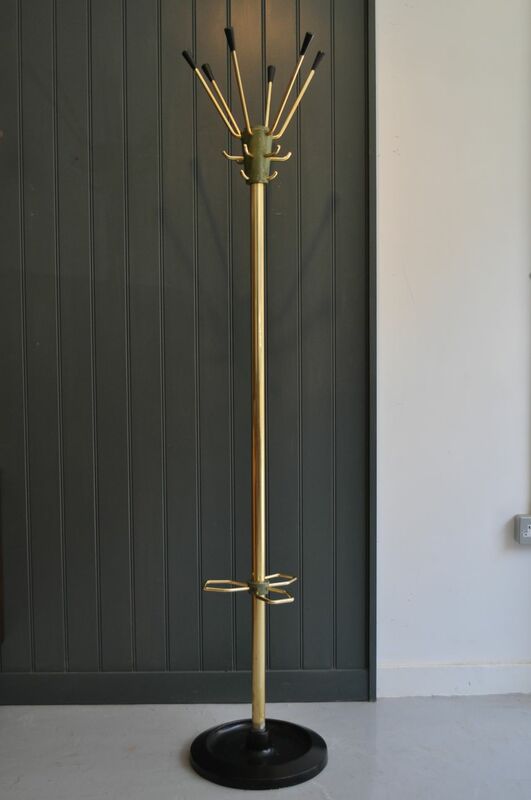 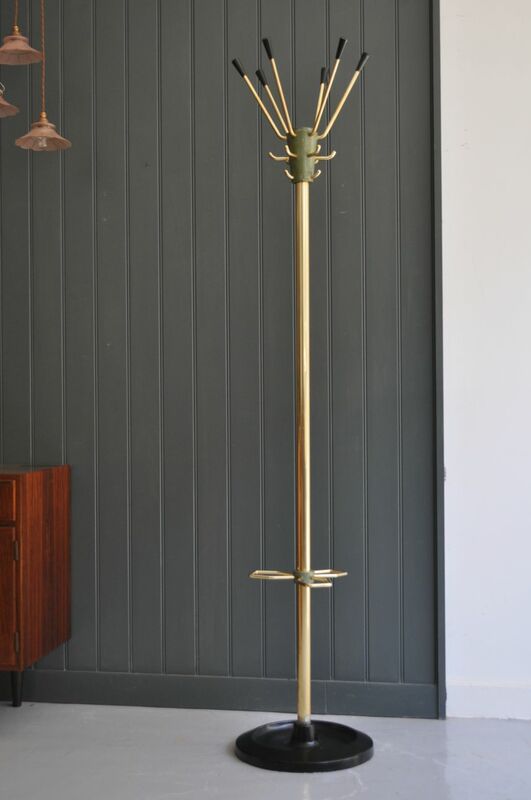 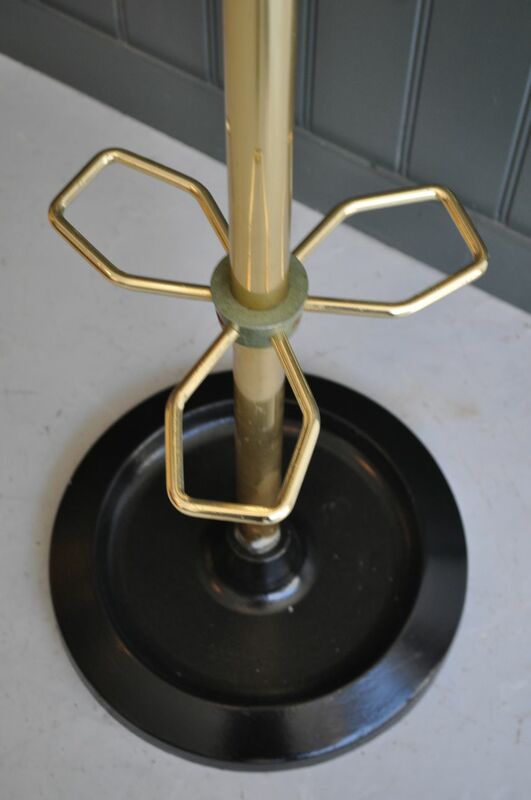 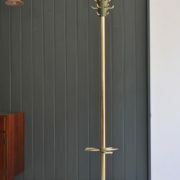 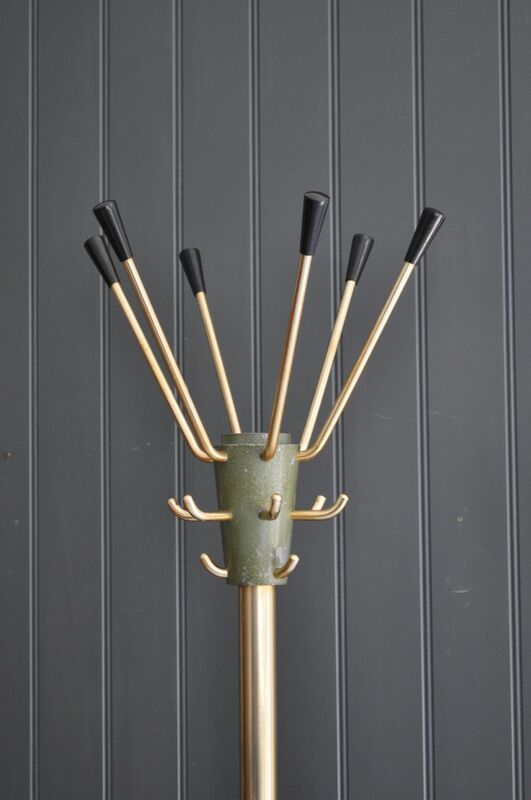 Stylish Belgian coat stand with rotating crown on gold aluminium column, and a heavy black base. 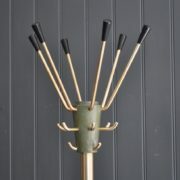 15 hooks to the top, and three umbrella holders to the lower part. 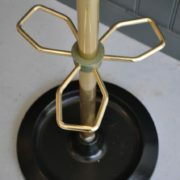 Light wear to the painted top in keeping with age, but generally in very nice vintage condition.